Where we live work and play has a direct impact on our health, so why wouldn’t we want to create the best possible environment for ourselves and our family? 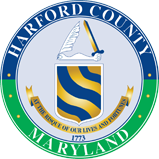 Healthy Harford is the Harford County healthy communities initiative. We partner with local agencies, government offices, nonprofits, schools, and faith based institutions to create programs, policy and services to best meet the health needs of our community. We hope as you look through our website that you will find the information that you need to put you on the path to wellness. Mind, body, spirit. Live Well, Be Well. Healthy Harford.